If you want to eat Mexican native foods like the Mexico favorites- burritos, tacos, chips and salads- anywhere in the world, there’s no place to go but the Chipotle Mexican Grill where all these exciting meals are made available by Steve Ells. 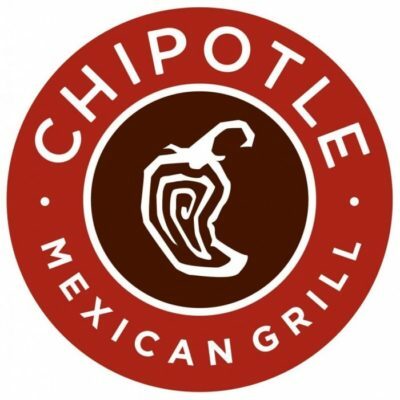 Chipotle Mexican Grill hasn’t been in the industry for so long unlike the many other fast food chains globally; but it proves to be competing positively in the international market- now that’s something you should think of. Steve said he didn’t think of Chipotle becoming too big, he actually just planned to make a simple fine dining restaurants. Yet, the people of Colorado might have really enjoyed the Mexican menu that Steve noticed customers grew each day. If we were to analyze Chipotle’s strategy based on food chain industry standard, you would definitely sigh. It does almost all the wrong things. It establishes branches in less crowded places. It does not offer breakfast nor does it serve by drive-through. And more incredibly, it doesn’t sell any franchise contracts. If you would ask how it manages to continuously grow, you better taste their meals for you to know. Chipotle Mexican Grill serve original and quality Mexican burritos and tacos that suit the taste of modern people not just in the United States but even across the world. They call them “Food with Integrity” because they are made out of organic ingredients and naturally raised meats. Steve Ells was not the business type, to start. He was a simple chef with a dream to establish his own fine dining restaurant just for the sake of professional satisfaction (and restaurant was really a dream for him). He studied culinary arts at the famous Culinary Institute of America and became a cook for Jeremiah Tower, owner of Stars restaurant. Working for the restaurant grew his passion and widened his expertise in cooking and food tasting. He once visited a restaurant selling burritos and that’s when he thought about the notion of having the same line of business but with a mix of his own style. Yet again, like any others, Steve needed money to fund his dream business. Good thing his father was a hero in the making! He lent him a modest amount of cash to start his idea (what a supportive dad!). And so Steve looked for places to establish his business; until he found the Dolly Madison Ice Cream Shop and started his business in 1993. It was silly though because the place was not a perfect business spot. Yet, Steve believed and worked on it from scratch. Who would have thought the place will become a destination for people who loved Mexican food? Recapping way back in 90’s, Steve Ells wasn’t at all sure what to do after graduating from college. He had literally no plans for his career. He was completely clueless. But a dream really takes a person to extreme heights. Look at him and look at Chipotle Mexican Grill. Let’s take a deeper look of what Chipotle Mexican Grill has to offer. By the way, prepare to lick your lips. Of course, let’s start with the famous burrito that we are probably all excited about. The Mexican native food is made up of cilantro-lime rice, meat, salsa, cheese or sour cream, organic braised tofu, pinto and black beans all covered up with a flour tortilla that makes burrito a heavy meal. Some people just want to eat the inside of the burrito. We can’t blame them for craving for the tasty mix of quality ingredients of burrito. Now if you would also want to have only the inside of the original burrito, well, don’t worry because Chipotle Mexican Grill offers bowl burrito; that’s some creativity. You can have a burrito bowl from $6.25 to $6.65 depending on the type you want to have. Another Chipotle Mexican Grill favorite is tacos! Bring it on! We all have tacos in our life. Just a simple fried flour wrapper and some tunas, tomatoes and other vegies; it’s all set for mediocre tacos. But Chipotle Mexican Grill has its own types of tacos. They made their own crispy tacos out of meat, organic braised tofu, cheese or sour cream and salsa all in a crispy corn shells. 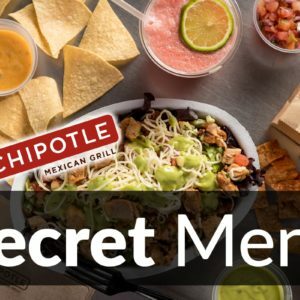 If you want to know more about Chipotle Mexican Grill’s menu, you can visit their Chipotle website or go straight to Chipotle menu prices. Chipotle Mexican Grill has a lot to offer; from extreme burritos to crispy tacos. But, they have more than just their simple dish. Their secret menu is huge. Let’s take Quesarito for example. This burrito is wrapped with a quesadilla outer layer.But what’s exciting about this Quesarito is that it is the extreme of burrito. It’s filled with melted cheese that bursts when you eat it (not literally ‘bursts’). It’s too cheesy that it blends well with the original burrito flavor. It’s heavier than the simple burrito too. Who doesn’t know Nachos? It’s a styled burrito on a plate. You’ll have all the burrito toppings filled with nacho chips for added excitement. Simply ask a burrito bowl in the counter and ask them to put chips at the button. Do it whatever burrito you want. Unlike hamburgers, burritos can actually be healthier. They have less calories, less fats and less carbs that cause obesity and hypertension. When reviewing Chipotle nutrition we can discover that there are ways to keep your meal healthy, and some ways to make a healthy meal unhealthy. Chipotle doesn’t have much of a menu in terms of size. They have a short menu, but their short menu is filled with exciting Mexican burritos you would perfectly enjoy. When we look over Chipotle prices or visit one of Chipotle Mexican Grill branches, we can find that an average meal costs about $10-15 depending on whether you add guacamole, a drink, or chips to your order. Chipotle Mexican Grill is growing, that’s for sure. Aside from the over 1700 locations it has, the fast food opened a division in Southeast Asia called the ShopHouse. The goal is to let all the people in the world experience burritos in their life. If you want to experience Mexican grill at its finest, you can visit any Chipotle Mexican Grill outlets wherever available. They are normally open 11:00 AM to 10:00 PM. They also serve Happy Hour meals between 6:00 PM to 8:00 PM.